Snickers Clothing new range of socks this heavy-duty Cordura® wool socks that combine amazing fit with reinforced functionality. 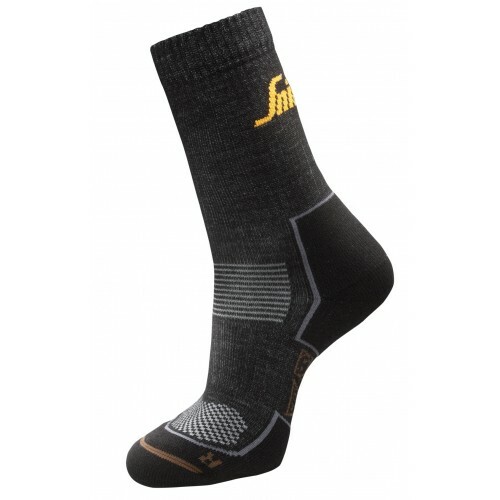 Put them on and experience superior warmth and durable working comfort in demanding environments. Material used in the Snickers Socks 9206: 36% Polyamide, 19% Merino Wool, 19% Acrylic, 15% Polypropylene, 7% Cordura® and 4% Elastane.